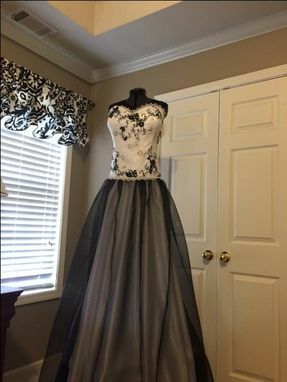 This dress is corset based, satin ball gown dress with full skirt featuring an organza overlay. 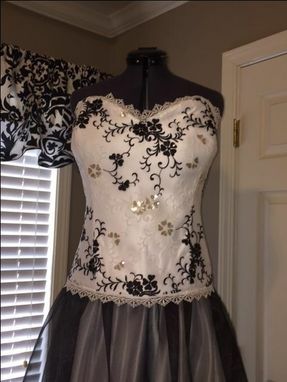 The bodice features a gorgeous lace overlay. 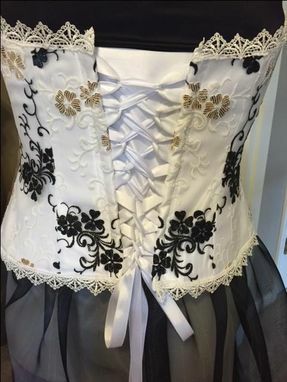 The back of the bodice is has a lacing closure and the skirt closes with a zipper. Choose your own fabrics, lace and embellishments.